Common question asked in almost every class that i deliver is how can we manage our vSphere infrastructure from command line? So thought of dedicating a page for command line management of vSphere infrastructure. Will start the discussion with vSphere Management Assistant which allows administrators and developers to run scripts and agents to manage ESXi hosts and vCenter Server systems. vMA is a virtual machine that includes prepackaged software such as a Linux distribution, the vSphere command‐line interface, and the vSphere SDK for Perl. As a developer, we can use the APIs provided with the VmaTargetLib library to programmatically connect to vMA targets by using Perl or Java. When we install vMA, we are licensed to use the virtual machine that includes all vMA components such as.  SUSE Linux Enterprise Server 11 SP1 – vMA runs SUSE Linux Enterprise Server on the virtual machine. 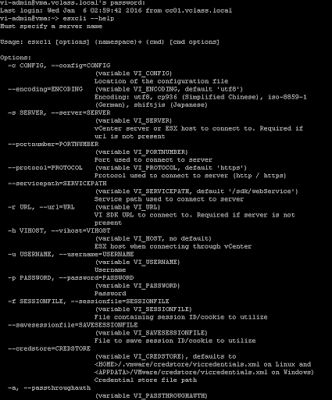  vSphere SDK for Perl . The SDK includes utility applications and samples for many common tasks.  Java JRE version 1.6 – Runtime engine for Java‐based applications built with vSphere Web Services SDK.  vi‐fastpass ‐ Authentication component. To set up vMA, we must have an ESXi host. Because vMA runs a 64‐bit Linux guest operating system, the ESXi host on which it runs must support 64‐bit virtual machines. 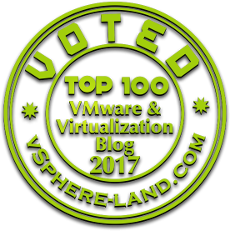 We can deploy vMA on the following systems:  vSphere 4.1 and later, vSphere 5.0, vSphere 5.1 and later  vCenter Application 5.0 and later. Before proceeding further with the configuration of vMA ensure we have the username and password for vCenter, Esxi host and vMA. To deploy vMA vSphere client can be used by selecting file > Deploy OVF Template or can be directly downloaded from URL. Post deployment we need to configure network settings (IP,hostname,DNS etc) and also specify the password for vi-admin for vMA during first boot. Note- vMA provides two consoles vMA console for (adding servers to vMA,running commands and configuring network/time related settings) and Web UI for (updating vMA,configuring network/time/proxy settings) we will be dealing with vMA console. 1) Login as vi-admin and provide the password we specified during first boot. 3) One of the first step we need to perform is to add vCenter Server as a server target by running the below command and specifying the password for vCenter Server System. 4) Also add ESXi hosts as a server target using the same command by specifying the host name,username and password for your ESXi hosts. 5) Once the server target has been we can run the command vifp listservers command to verify whether it has been added properly or not.